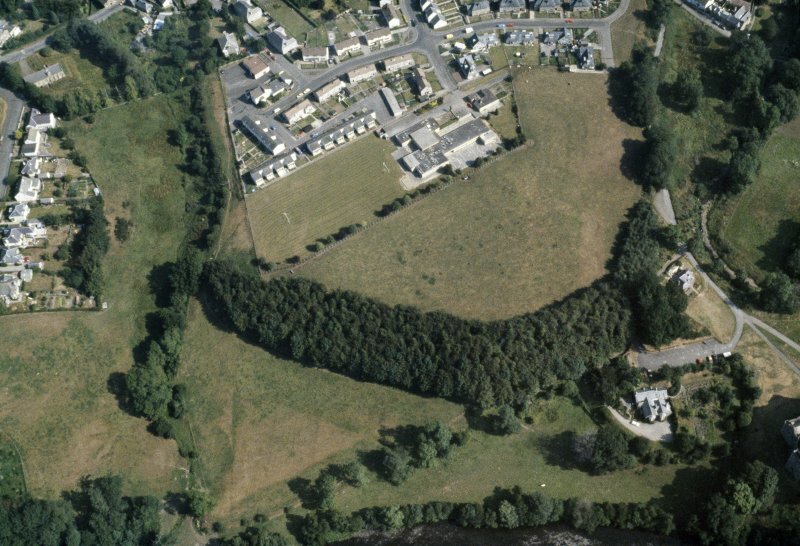 Oblique aerial view centred on the excavations of the Roman fort and possible annexe, taken from the S.
Oblique aerial view of Doune Roman Fort and annexe. 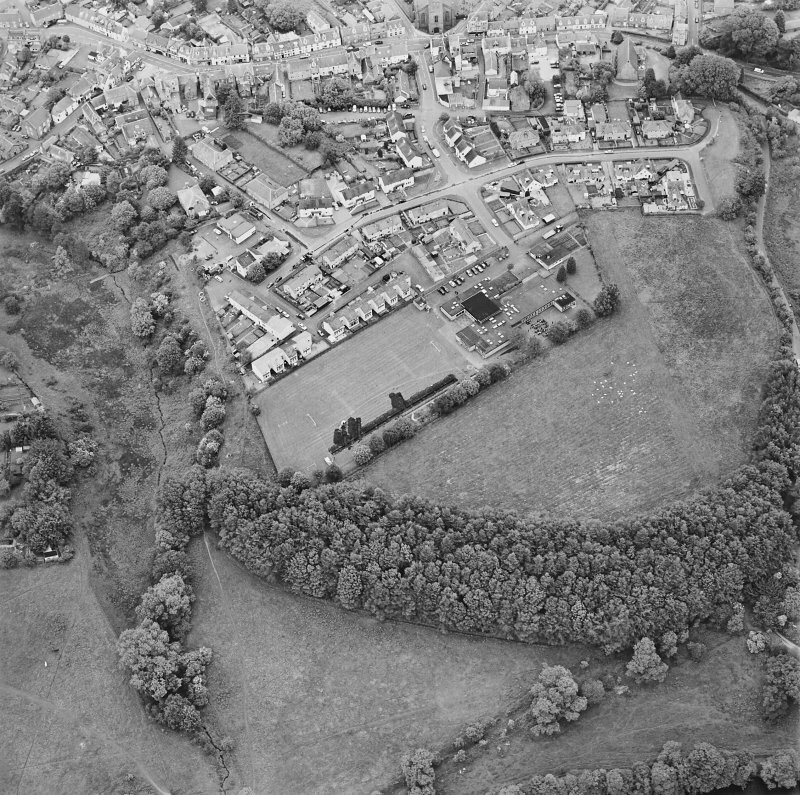 Oblique aerial view centred on the excavations of the Roman fort and possible annexe, taken from the WSW. 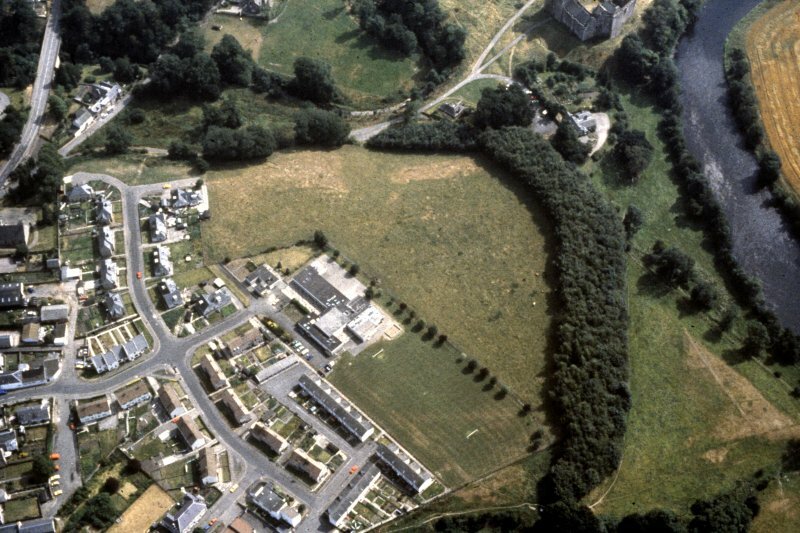 Oblique aerial view centred on the excavations of the Roman fort and possible annexe, with the adjacent castle, taken from the NW. 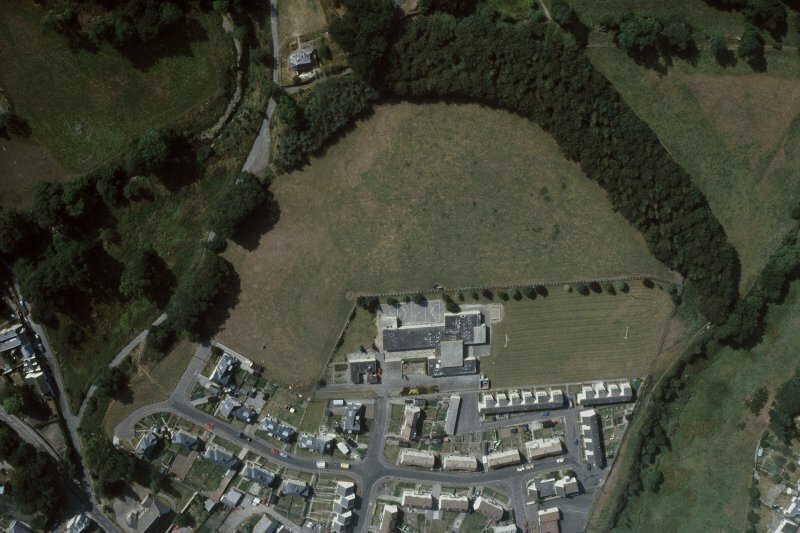 Oblique aerial view centred on the excavations of the Roman fort and possible annexe, taken from the SW.
Oblique aerial view centred on the excavations of the Roman fort and possible annexe, taken from the W.
Oblique aerial view. 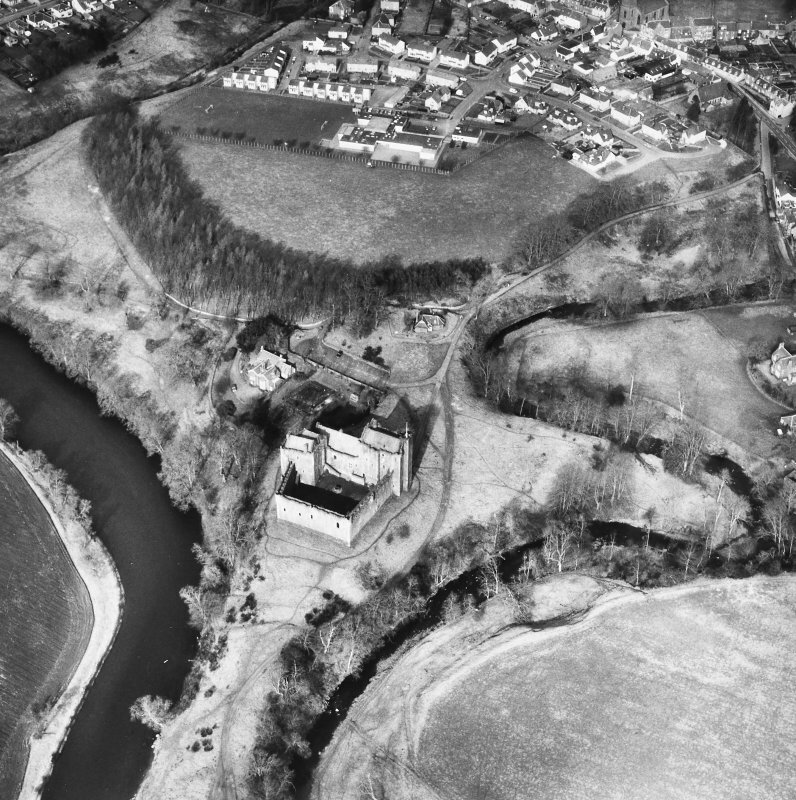 Doune Roman fort. 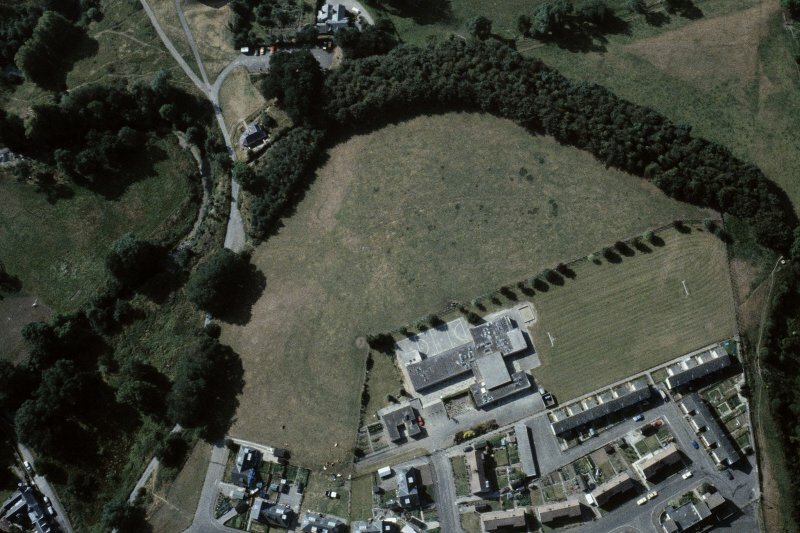 Oblique aerial view centred on the excavations of the Roman fort and possible annexe, taken from the NW. 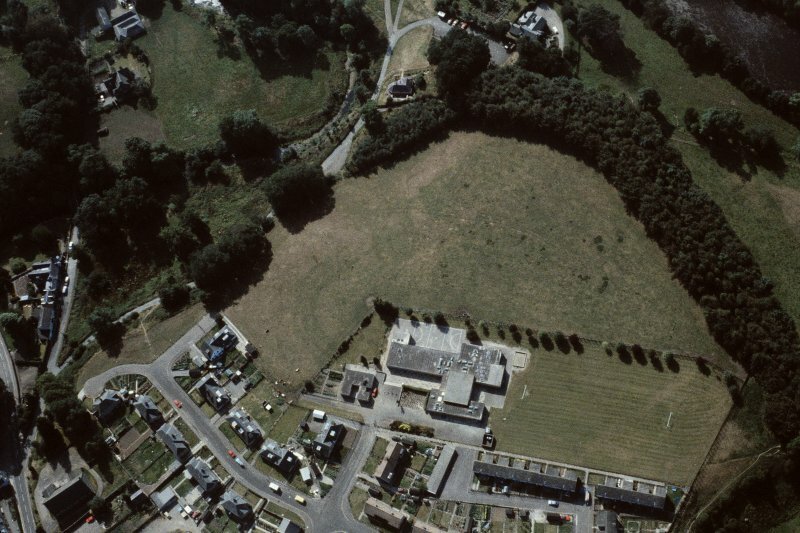 Oblique aerial view centred on the excavations of the Roman fort and possible annexe, taken from the ESE. 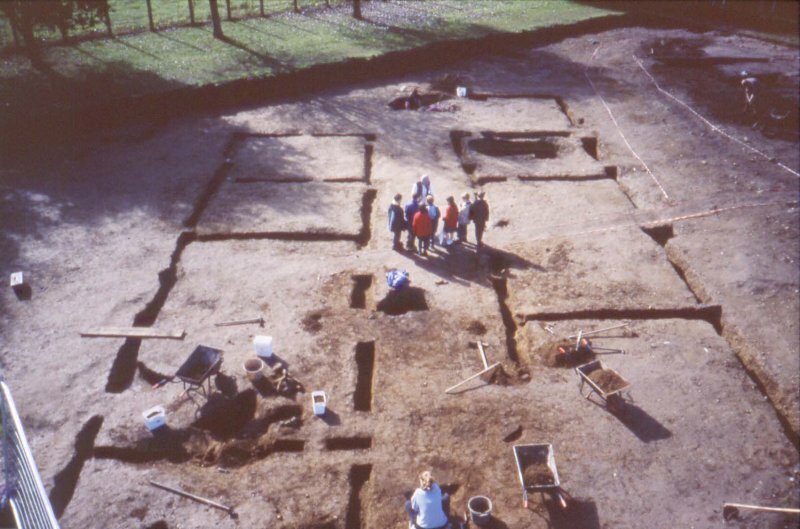 View of excavated Breadoven, 2003. Composite transcriptions of PT14118, PT15178, A64136 and A69554CN/PO. 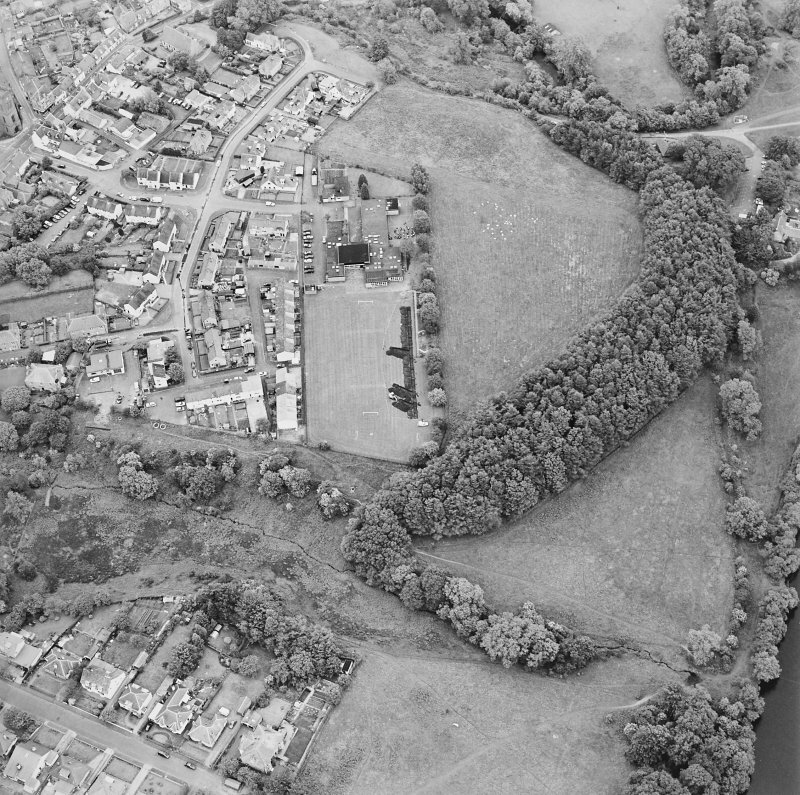 Oblique aerial view centred on the excavations of the Roman fort and possible annexe, taken from the N.
Oblique aerial view centred on the excavations of the Roman fort and possible annexe, taken from the SE. 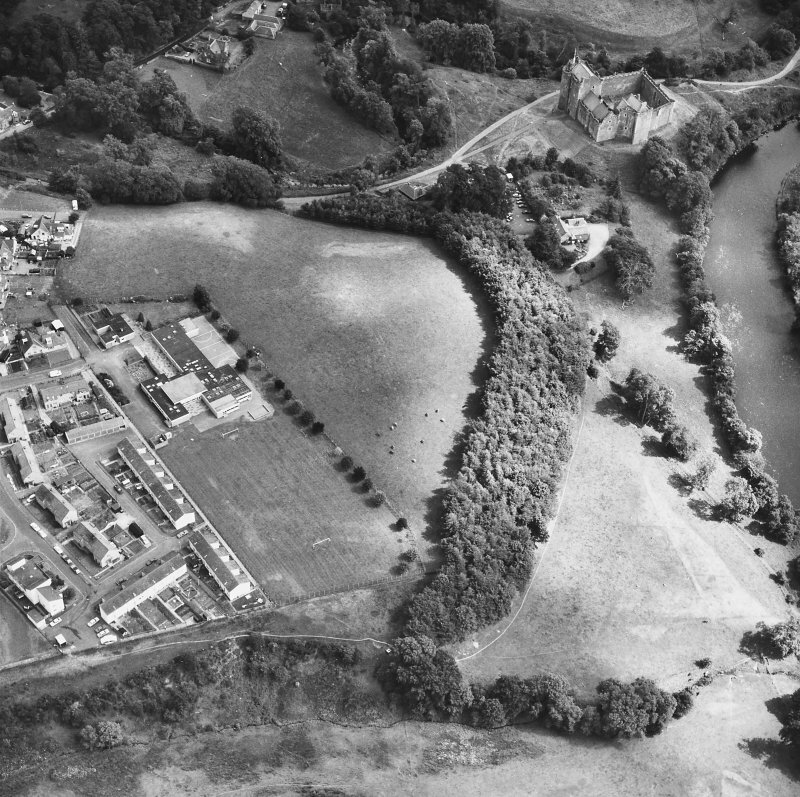 'Aerial reconnaissance in 1983 located a Roman fort on Castle Hill between the town and the Castle of Doune overlooking a covenient crossing-place on the river Teith. 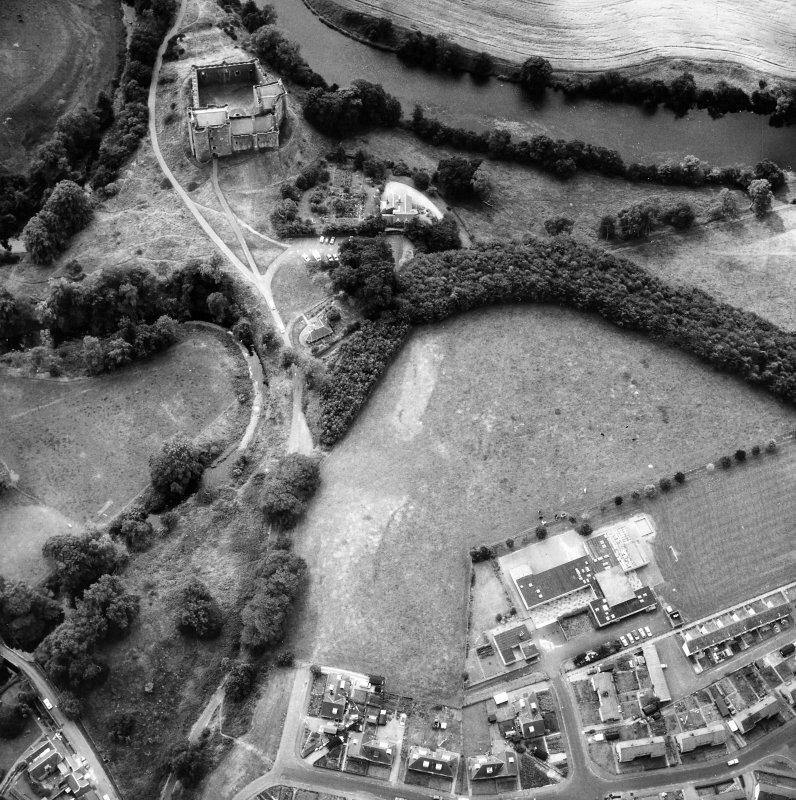 Further aerial reconnaissance shows that over the ramparts the dimensions of this fort are c 160m NE-SW by 140m, an area of 2.25ha (5.6 acres). 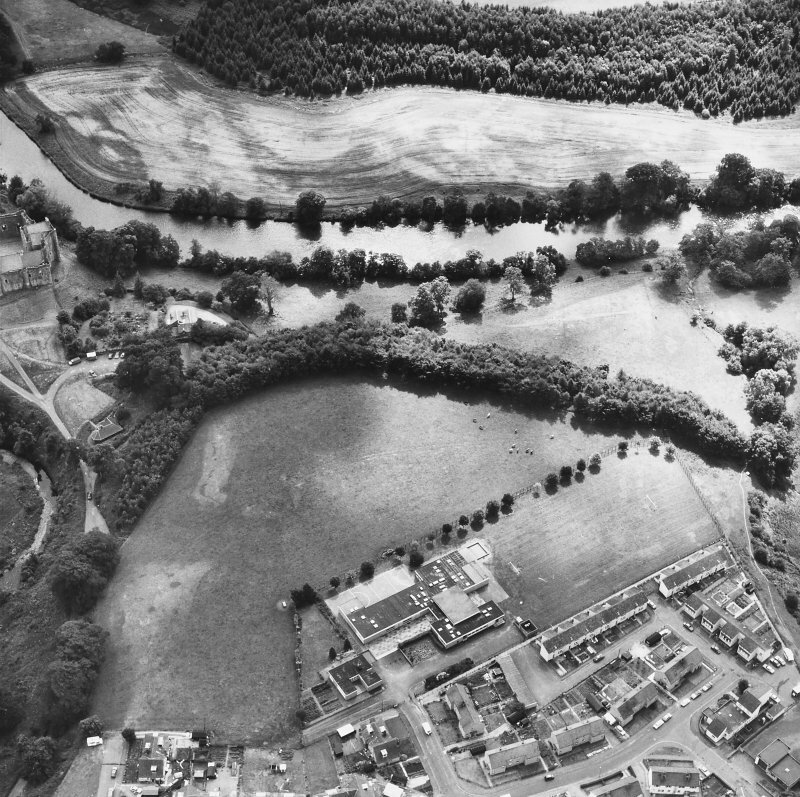 A crop-mark extending from the W angle towards the River Teith may indicate an annexe. (Information from G S Maxwell). 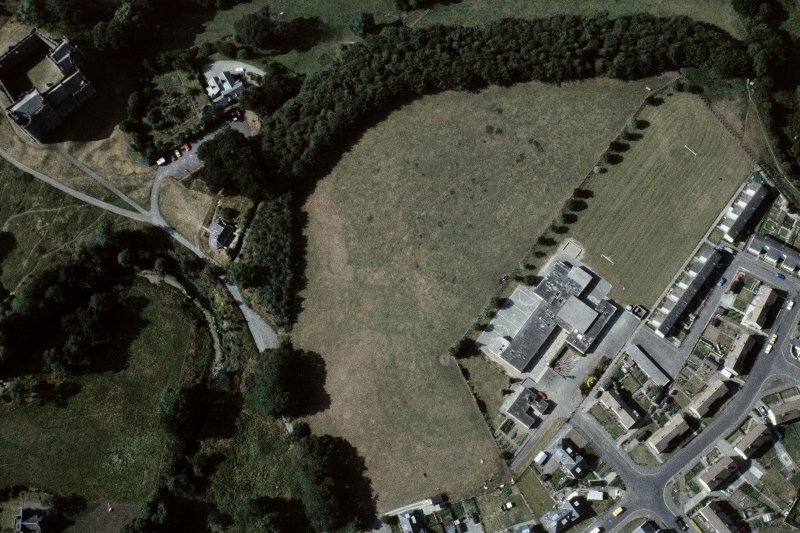 NN 727 013 An archaeological excavation was undertaken in the playing fields of Doune Primary School, which is located within the site of Doune Roman fort. The intervallum way was identified in the form of a gravel-built road. 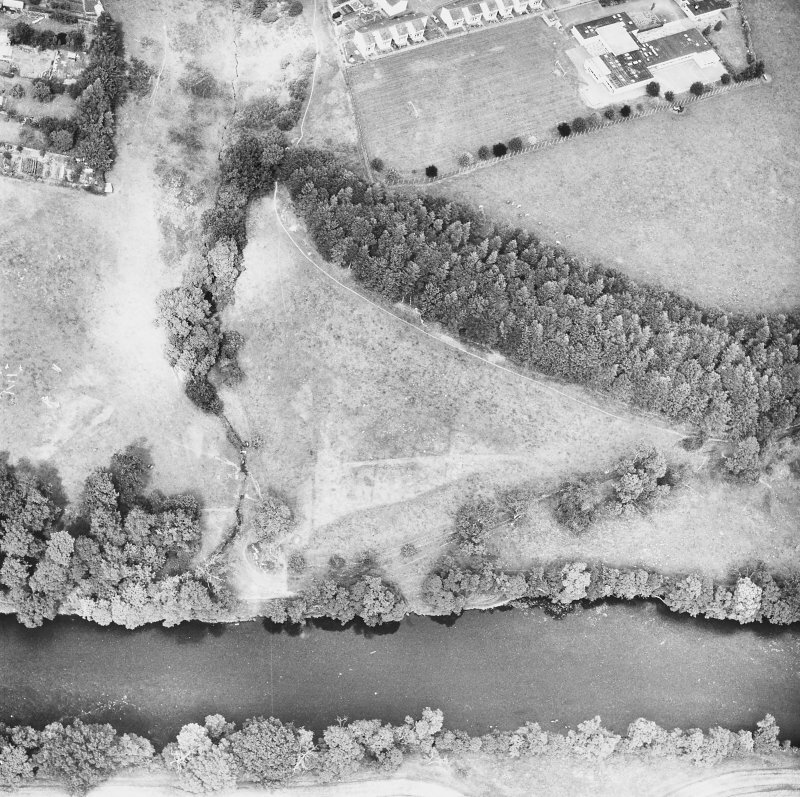 The complete ground plans of two buildings were recovered as well as the partial foundations of several others. 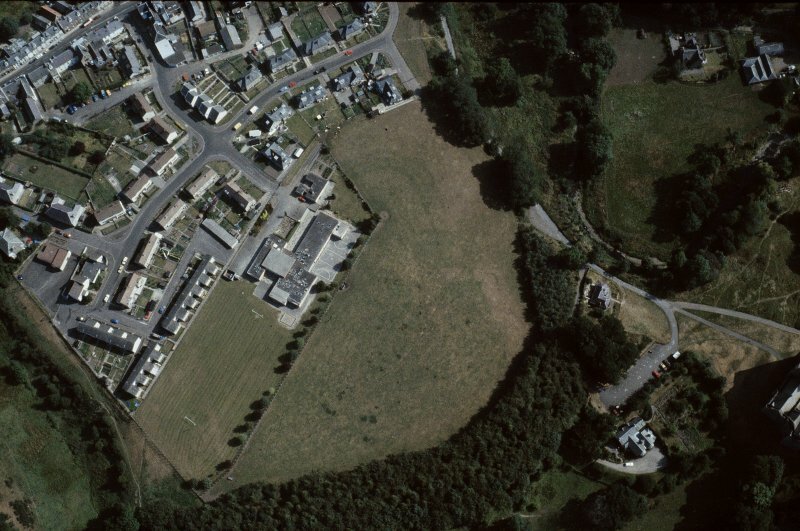 These may represent the hospital block. 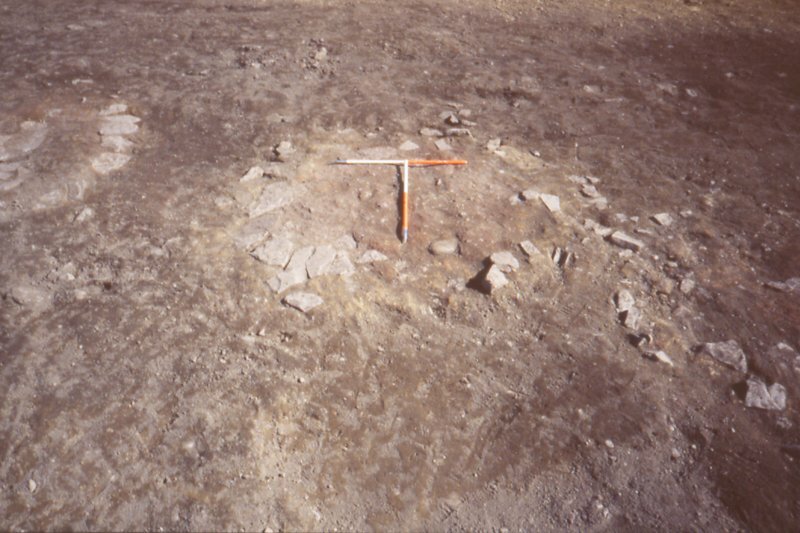 Several large pits were identified and excavated; it is likely that these formed part of the demolition of the fort once it went out of commission. 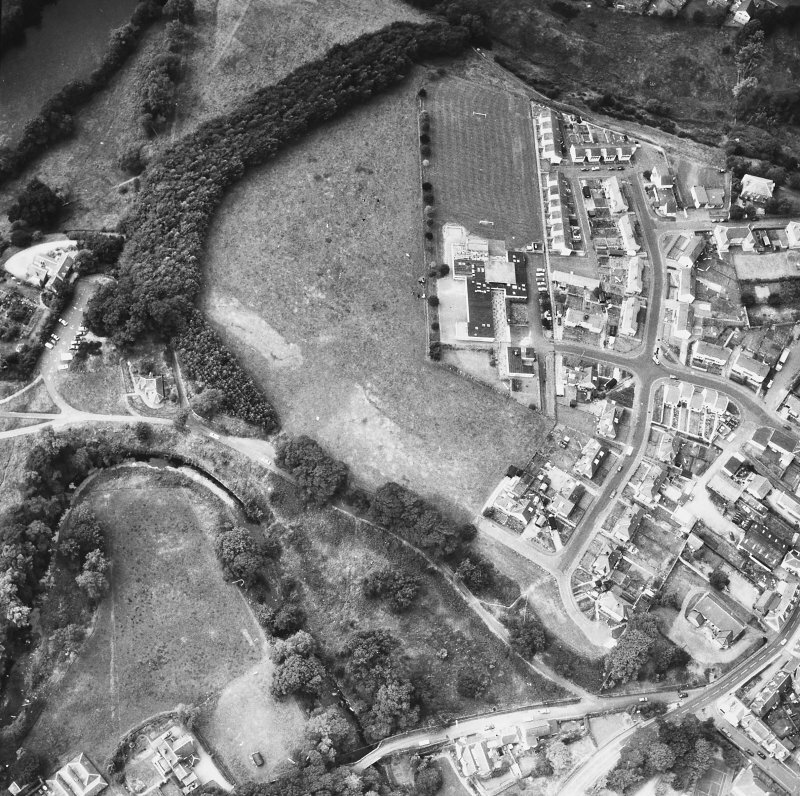 Five bread ovens were identified, built into the back of the rampart. 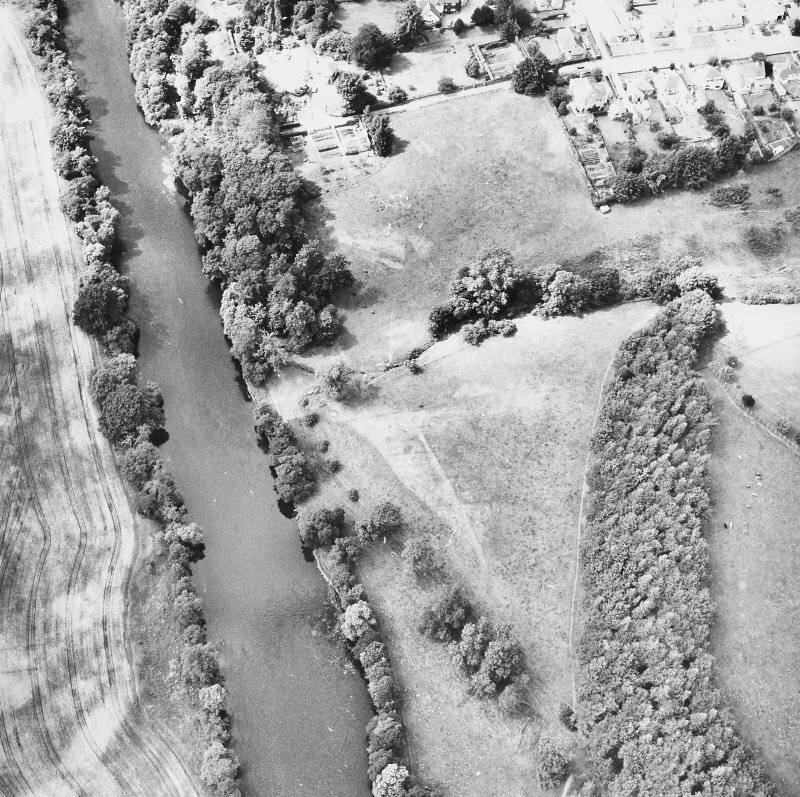 Pottery associated with the investigated features appears to date to the 1st century AD. 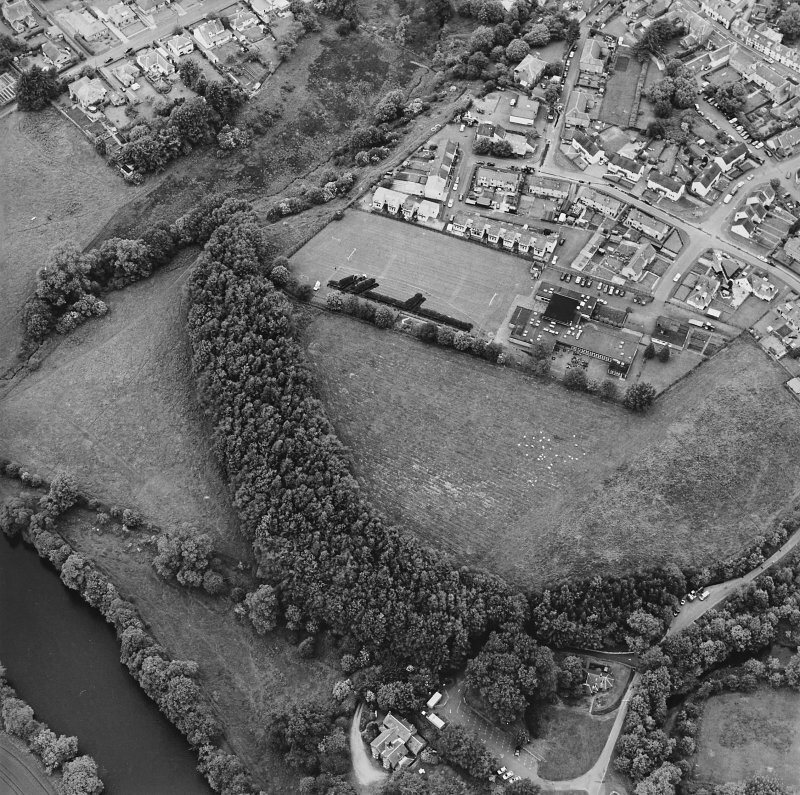 This conforms with the Flavian date previously attributed to the site. 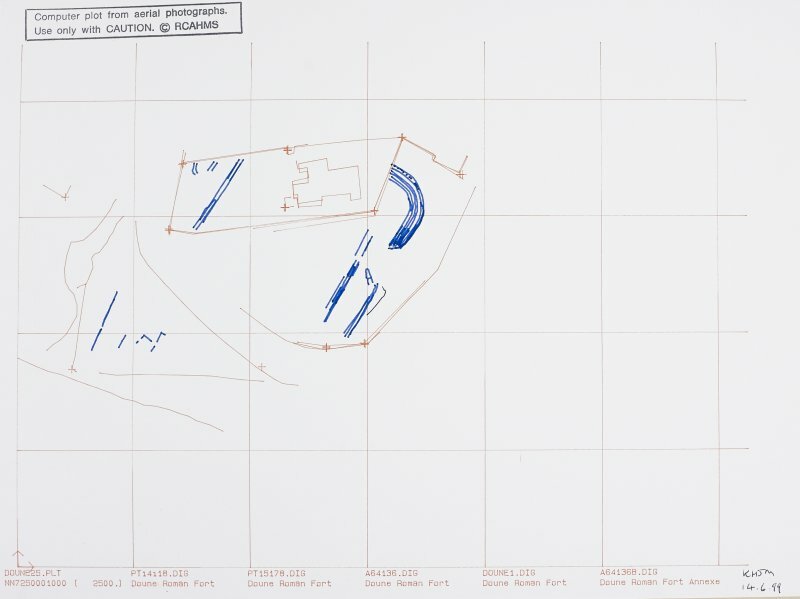 Information from Historic Scotland, scheduling document dated 26 April 2011. 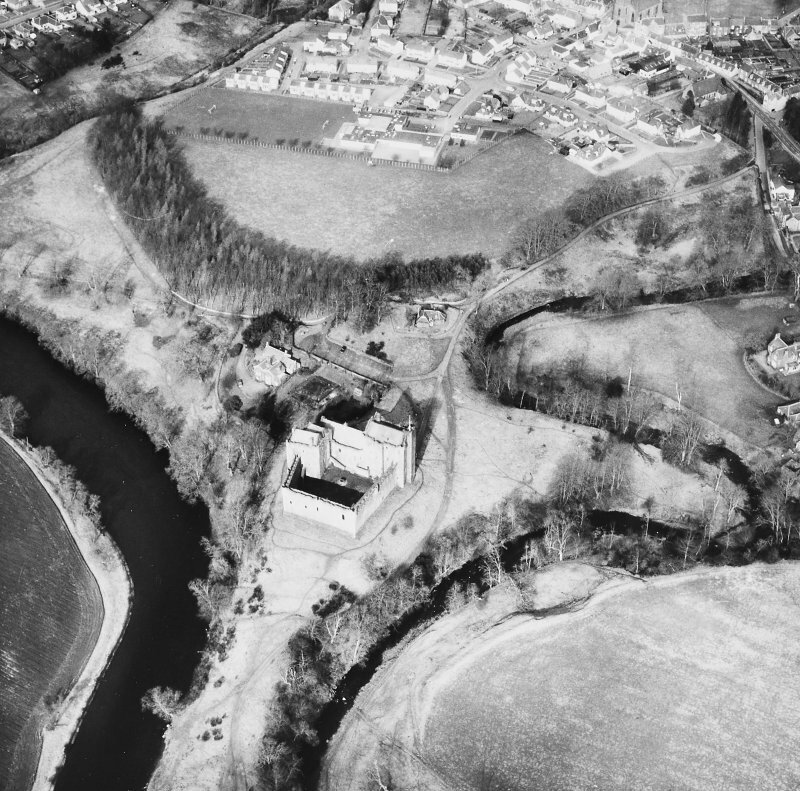 Watching briefs were maintained at two sites in the vicinity of Doune Castle during the Forth Valley Sewer Renewal Project, undertaken by East of Scotland Water. 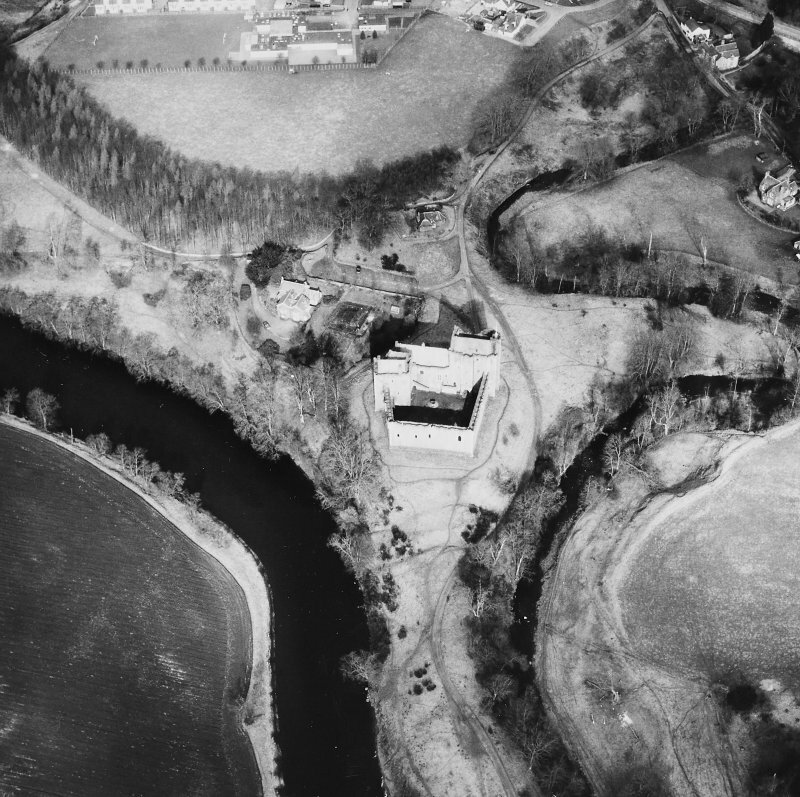 The areas affected were the driveway leading southwards to the Castle itself, and an area to the W of Doune Fire Station, in the vicinity of the Flavian fort discovered in 1984 by aerial reconnaissance. 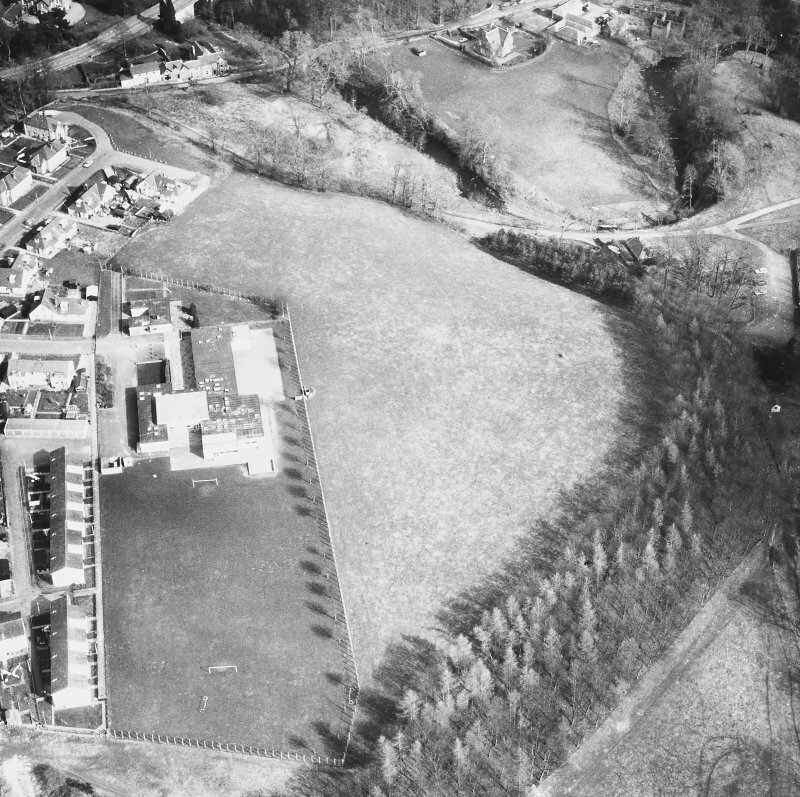 Four trenches, each measuring c.2 x 2m, were opened along the driveway, to remove the existing sewer and to install a new pipeline. 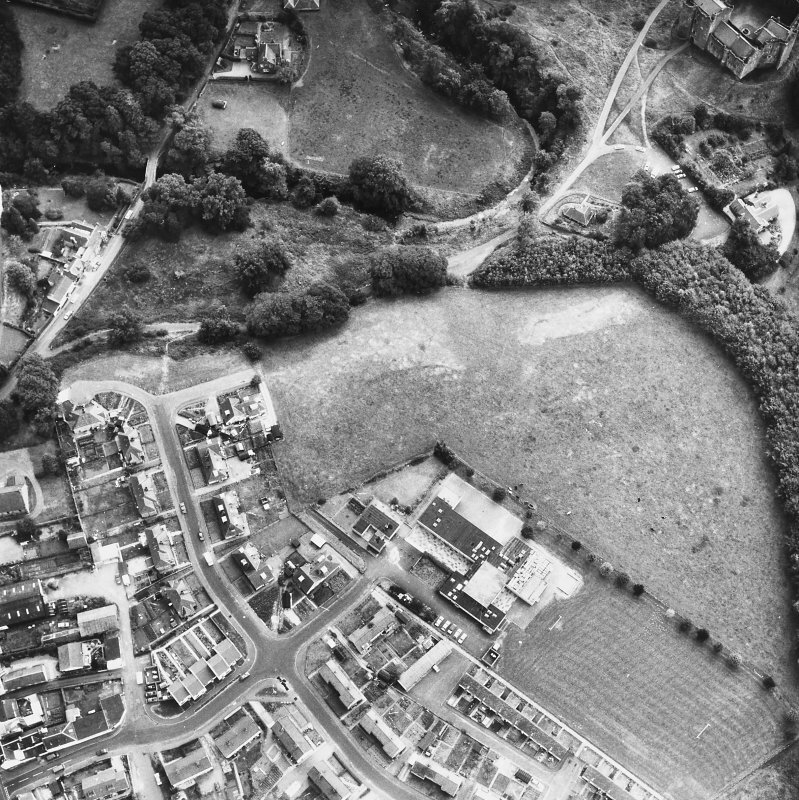 The trenches revealed recently disturbed horizons associated with the fitting of the earlier sewer, although the southernmost trench, nearest the castle, revealed possible evidence for a denuded earthen bank or platform. 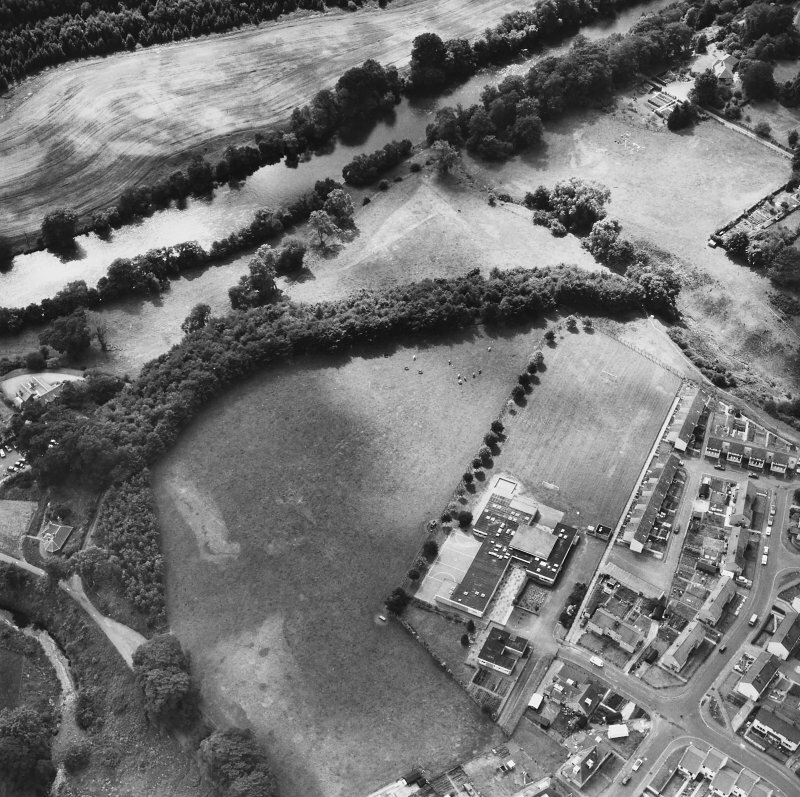 A single trench of c.150m length and up to 2m wide was excavated to the W of the Fire Station, along the top of a steep slope down to a small tributary of the River Teith. 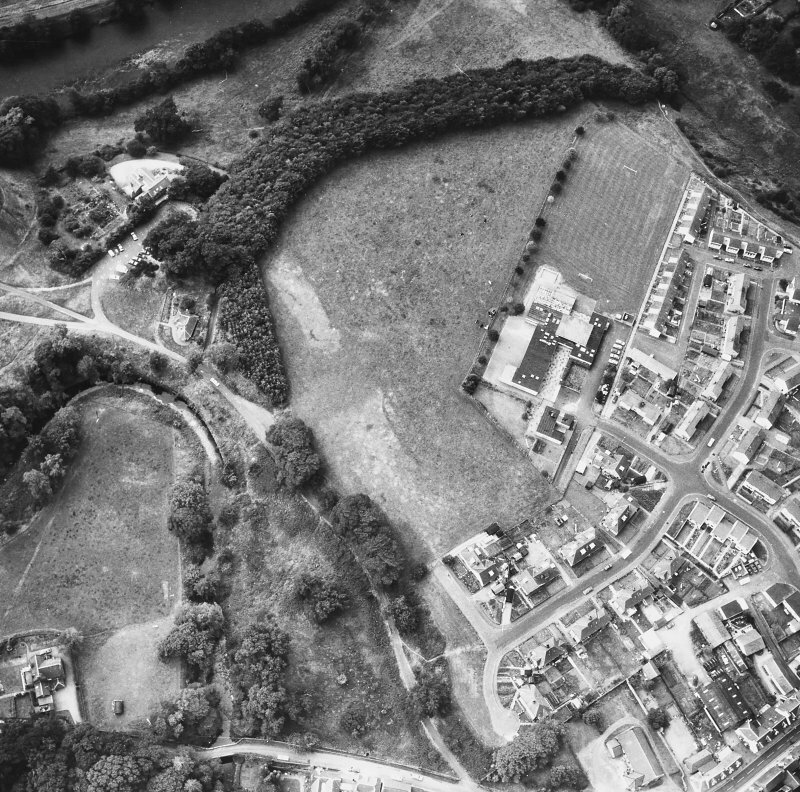 Nothing of archaeological significance was revealed, and the site of the Roman fort was not affected. 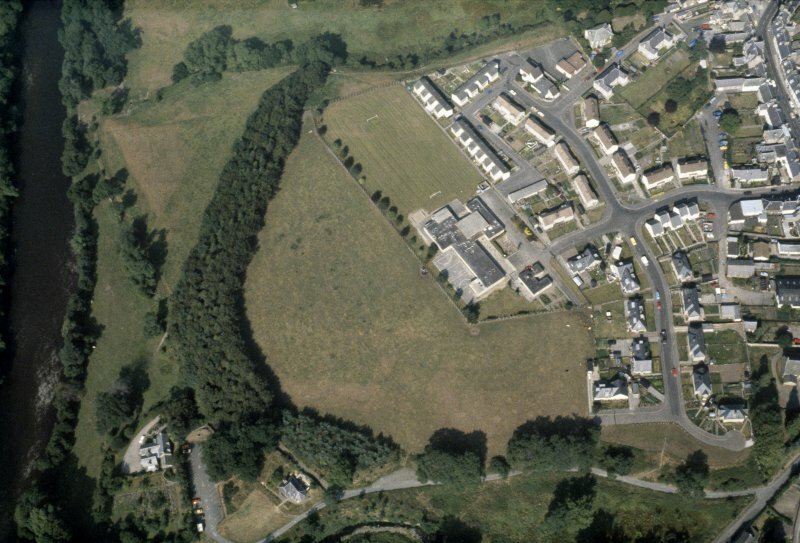 The slope was demonstrated to be a natural profile, with some recent landscaping associated with the construction of the modern housing scheme to the E.
to a partial abandonment of the fort. 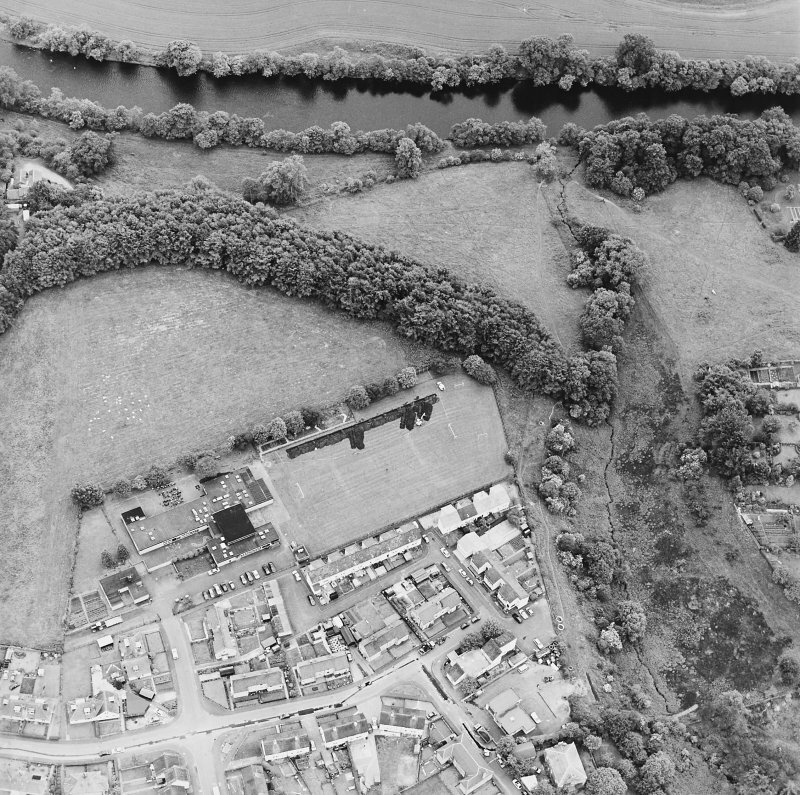 Resistance and magnetic surveys were conducted on the parts of the Roman fort which have not been built upon, along with an external area to the E. The data obtained was partly obscured by interference from modern features, such as fences, pipes, paths and a cricket square, but a reasonable view was obtained. 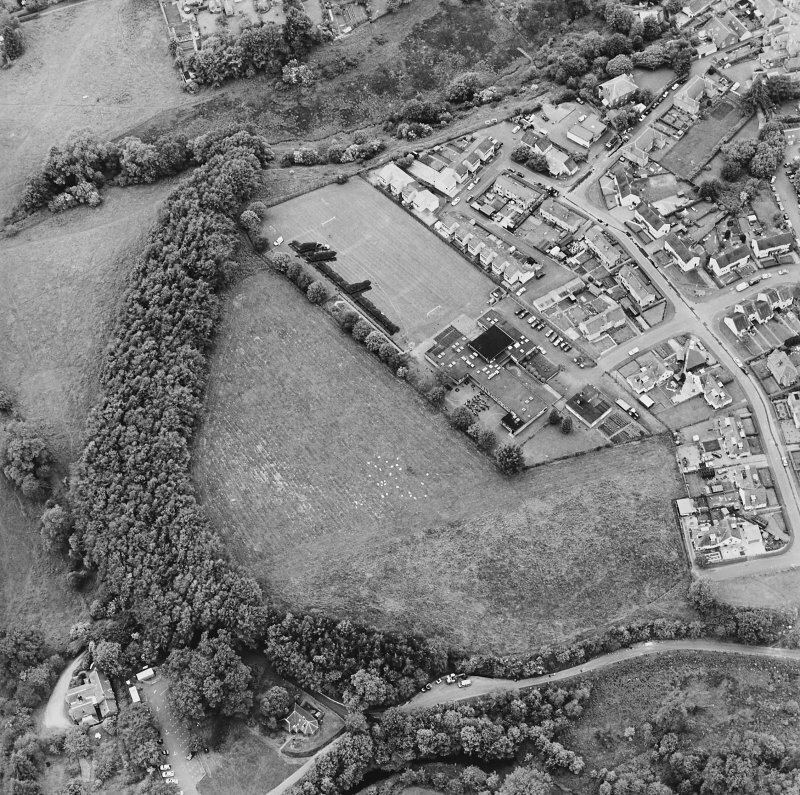 intervallum road. 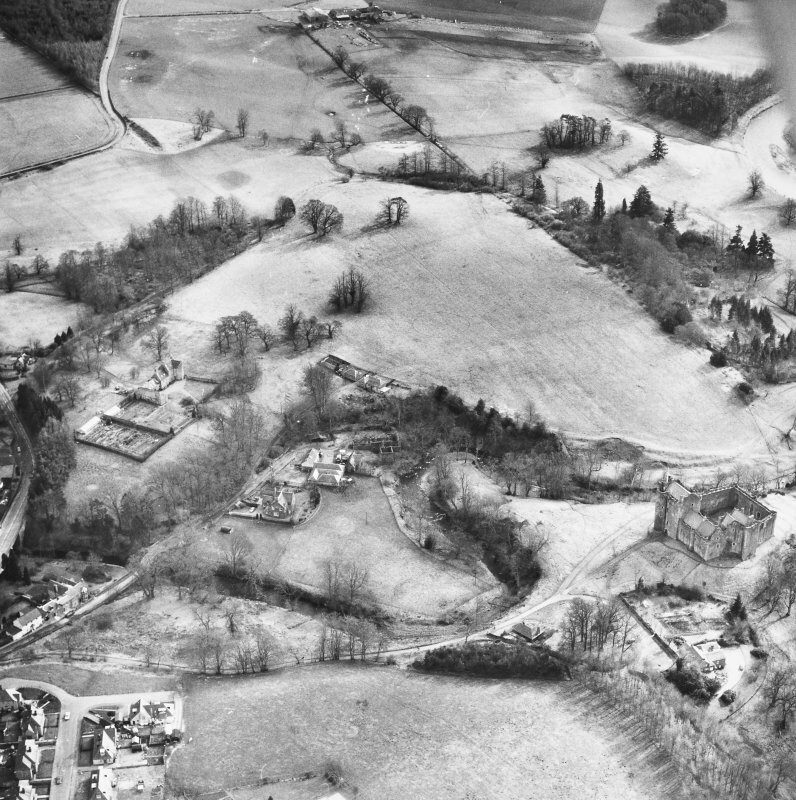 Outside the fort, a small group of ring features at the top of a steep bank that slopes down to the Ardoch Burn may represent roundhouses. 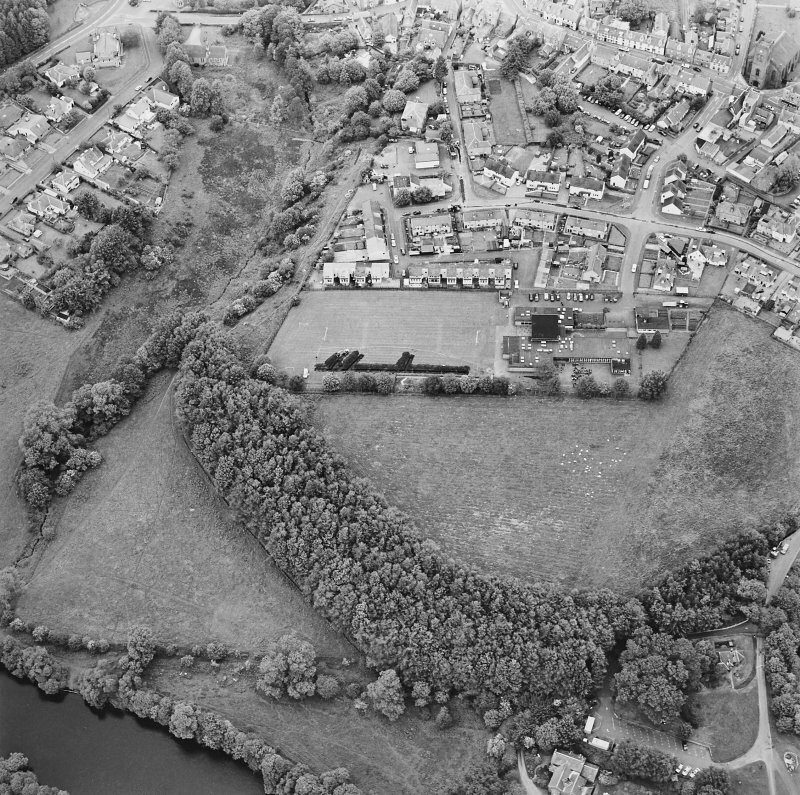 On 15th May 2012 Alder Archaeology undertook a watching brief (Alder code DE01) on the site of excavations required for a buried low voltage cable and associated new wooden pole and stay. 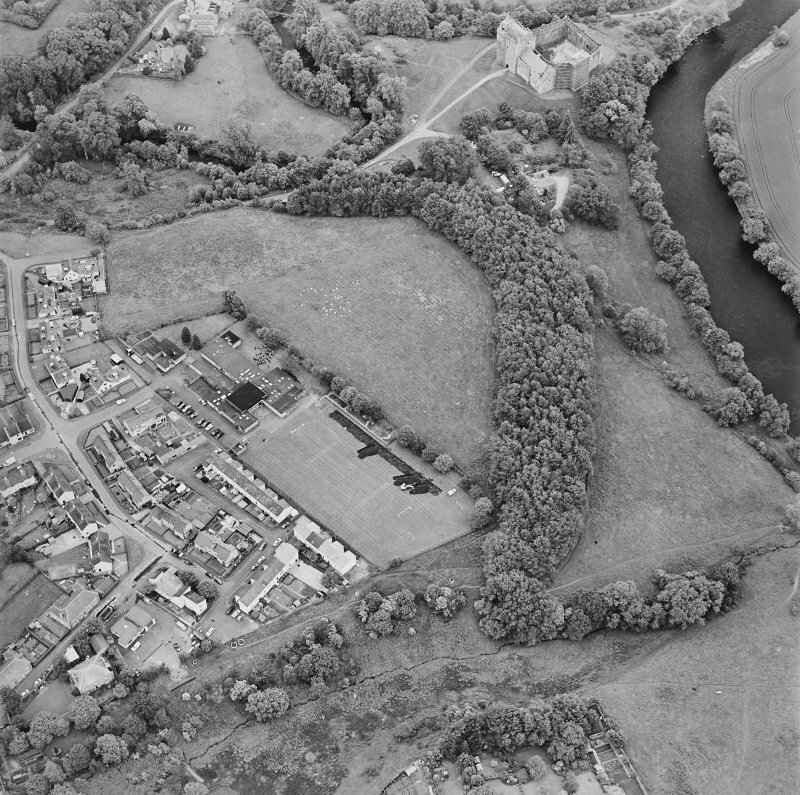 The site was considered to have archaeological potential due to its close proximity to the 14th century Doune Castle and the nearby Roman Fort. 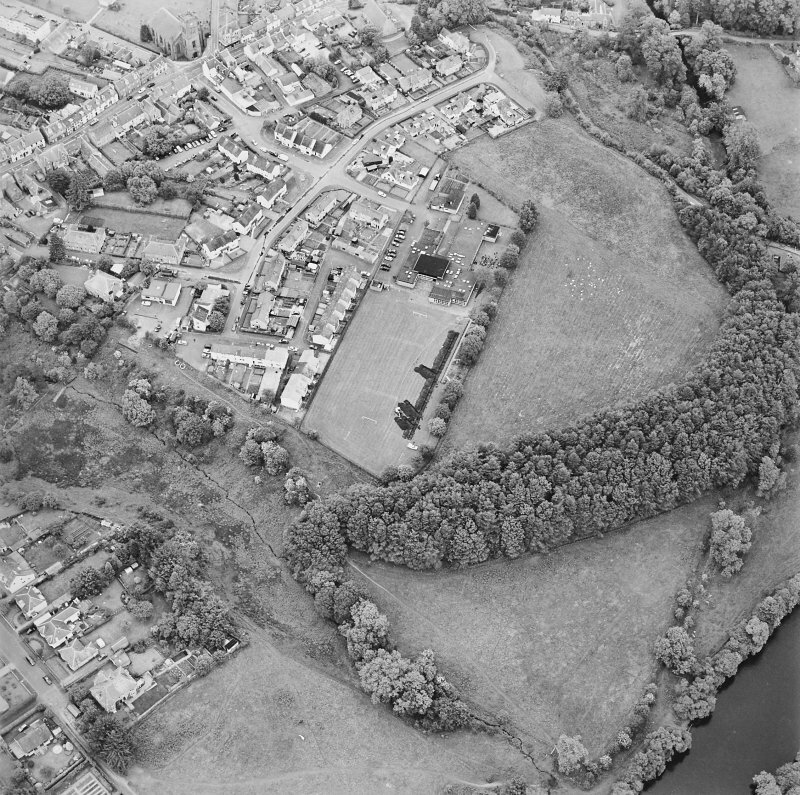 Spoil from the excavation was scanned for finds with a metal detector. A fragment of a medieval spur and some pieces of leather were recovered from the excavation for the stay pit. 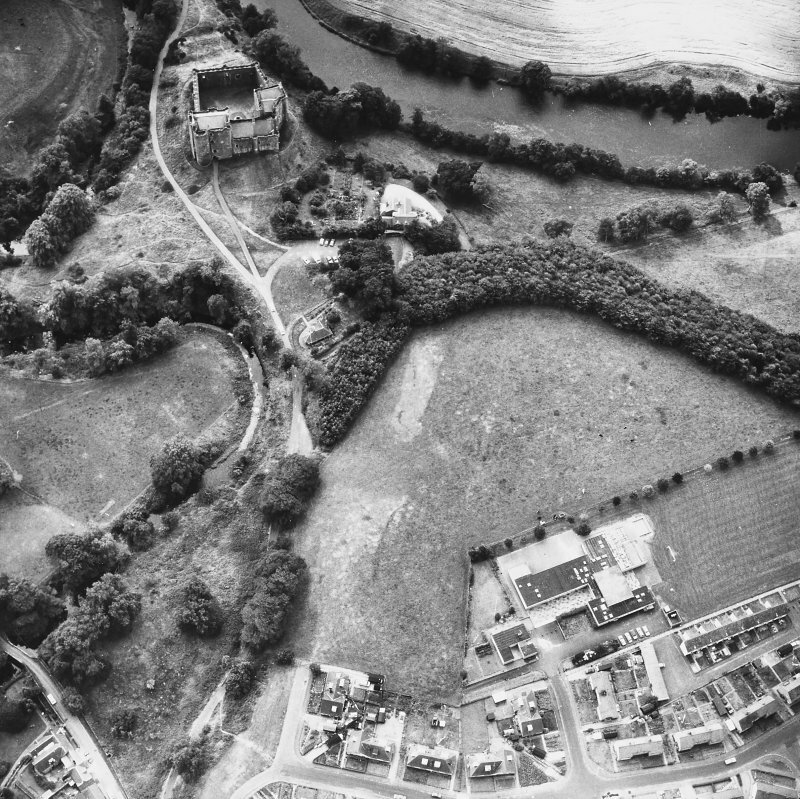 Apart from the spur, nothing of archaeological significance was found during the watching brief. 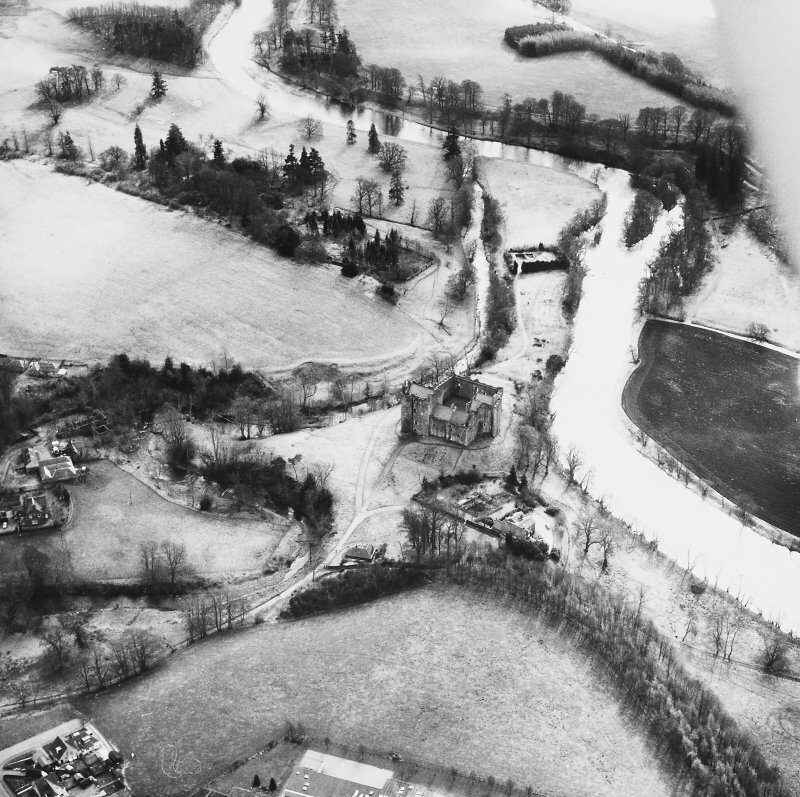 The work was fully funded by Scottish and Southern Energy.